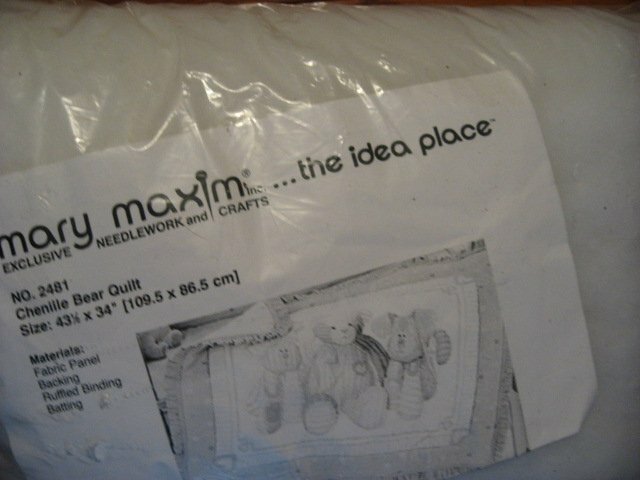 Mary Maxim Cute Teddy Bear fun cotton fabric quilt kit to sew. Brand new quilt to sew. This is an unopened package. 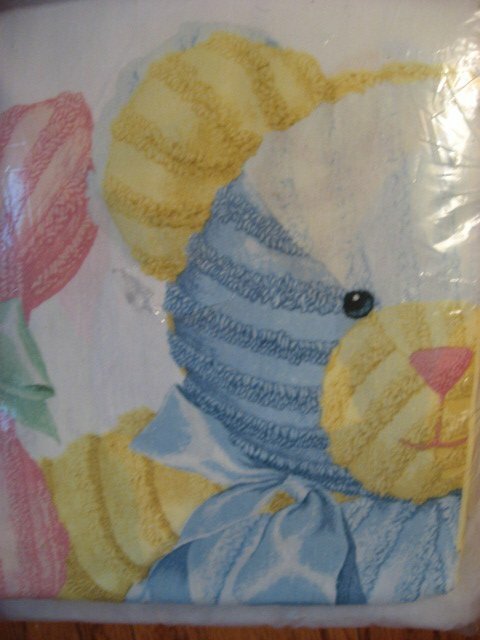 The bear has a chenille look, but the fabric is plain cotton. This is a kit. It contains the fabric panel, backing, ruffled binding, and batting. Everything you need to make a beautiful quilt for your child. Please check out my handmade flannel and fleece baby blankets and child bed size blankets on this website.